The confirmation that the US-Russian talks on Syria have collapsed suggests that there is little hope, if any, of a diplomatic solution emerging anytime soon to end a more than five-year-old civil war that has killed hundreds of thousands of people and displaced 11 million. “The United States is suspending its participation in bilateral channels with Russia that were established to sustain the cessation of hostilities,” US State Department spokesman John Kirby said in a statement. Secretary of State John Kerry last spoke to his Russian counterpart, Sergei Lavrov, on Saturday, a senior State Department official said, after Kerry threatened last week to walk away from the talks. In Moscow, Foreign Ministry spokeswoman Maria Zakharova told Russian news agencies the United States was trying to shift blame onto Russia, which in recent days had tried to sustain the agreement. But Syrian President Bashar al-Assad’s forces, supported by Iranian-backed militia and Russian air power, have since last week stepped up their offensive against rebel-held areas of Aleppo, Syria’s biggest city, bombing hospitals and damaging water supplies. 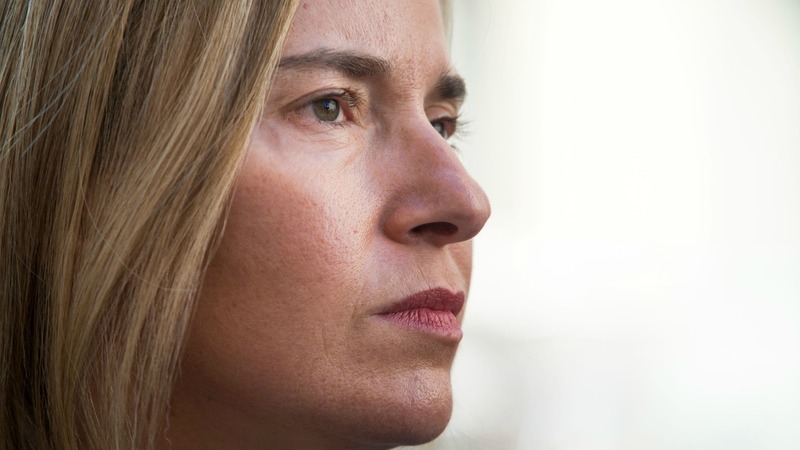 The European Union proposed a new humanitarian plan in coordination with the United Nations for the besieged half of the Syrian city of Aleppo yesterday (4 October), but said it required cooperation from all parties to the conflict. 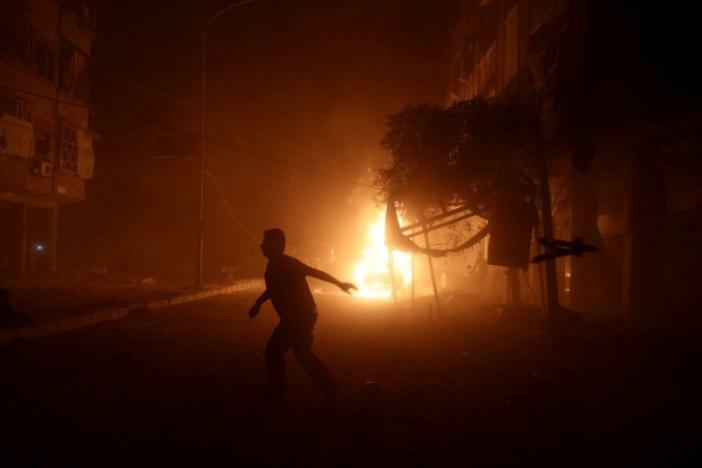 In the northeastern city of Hasaka, a bomb killed at least 20 people at a Kurdish wedding, according to a Kurdish militia and a monitoring group. A US intelligence official said the bombing campaign was “one of the deadliest” since the civil war erupted in 2011. “These air strikes, mostly focused on Aleppo, have utilised a wide variety of deadly munitions, including barrel bombs, thermobaric bombs, incendiary munitions, cluster bombs and bunker busters,” the official said, speaking on condition of anonymity. The end of the talks could trigger deeper US consideration of military options such as providing more sophisticated arms, logistical support, and training to Syrian rebel groups, either directly or via Gulf Arab states or Turkey. 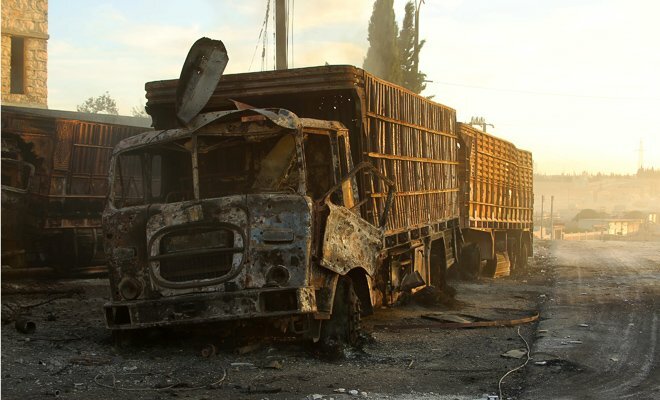 But the speed with which the ceasefire collapsed – after a UN aid convoy was bombed in Syria – appeared to take some officials in the Obama administration by surprise and without a clear plan on the immediate way forward. US President Barack Obama has been loath to get more deeply involved in a third war in the Islamic world and US officials have said he is unlikely to do so with less than four months left in office. Just before Monday’s announcement, Russian President Vladimir Putin suspended a treaty with Washington on cleaning up weapons-grade plutonium, signaling he was willing to use nuclear disarmament as a new bargaining chip in disputes with the United States over Ukraine and Syria. The senior State Department official dismissed links between the suspension of talks on Syria and Putin’s announcement. Amid the growing tensions, the State Department announced that the top US diplomat on Europe, including Russia, will travel to Moscow later this week to hold talks with senior Russian officials on Russia’s annexation of Ukraine’s Crimea region in 2014. The United States and European Union imposed sanctions against Moscow for its actions in Crimea. Kirby said the United States would continue to communicate with the Russian military to ensure that American and Russian aircraft targeting Islamic State positions in Syria do not come into conflict with each other. UN envoy for Syria Staffan de Mistura said he “deeply regrets” the US announcement but vowed “to push energetically for a political solution” to end the war. Meanwhile, diplomats said the United Nations Security Council would begin to negotiate on Monday a draft resolution that urges Russia and the United States to ensure an immediate truce in Aleppo. China’s UN Ambassador Liu Jieyi said now was the time for more cooperation, but Britain’s Ambassador to the UN Matthew Rycroft said he was not surprised by Washington’s action. Russian UN Ambassador Vitaly Churkin told reporters Russia wanted to avoid a “human catastrophe” and was choosing its targets carefully. “The situation has been allowed to degenerate into this awful, awful mess and we’re trying to find a way out of it and trying to make sure the black flags are not going to fly over Damascus,” he said, referring to Islamic State militants. It is regrettable that the sincere effort initiated by Secretary Kerry a year ago to end hostilities and build the basis for political resolution of the civil war in Syria had to be terminated. It appears that Moscow was in no particular hurry for an end to hostilities until the Assad Regime gained control of Aleppo. The targeting of humanitarian and civilian medical operations in Aleppo with fire bombs, cluster bombs, bunker buster and earlier chemical weapons evidence an unprecedented level of barbarity and disregard for human life. Civilian casualties appear to be the very intent of the attacks and not a collateral consequence. The rules of engagement of the US led coalition fighting ISIS in Syria have been to avoid contact with Syrian government forces. Remarkably about 5,000 sorties flown against ISIS have successfully concluded their mission with no contact with Syrian government forces. On September 15, 2016 coalition aircraft bombed a Syrian army position resulting in 62 casualties. The errors that resulted in this tragedy are being investigated. Perhaps the possibilities for ending this war would be helped with a Security Council resolution banning all military flights by the Assad regime and requiring that any ISIS position targeted be jointly coordinated between Russia and the US with Russia held responsible for bringing the Assad regime to the negotiating table and the US responsible for bringing the opposition to the table.